Interested in User Experience and Design? 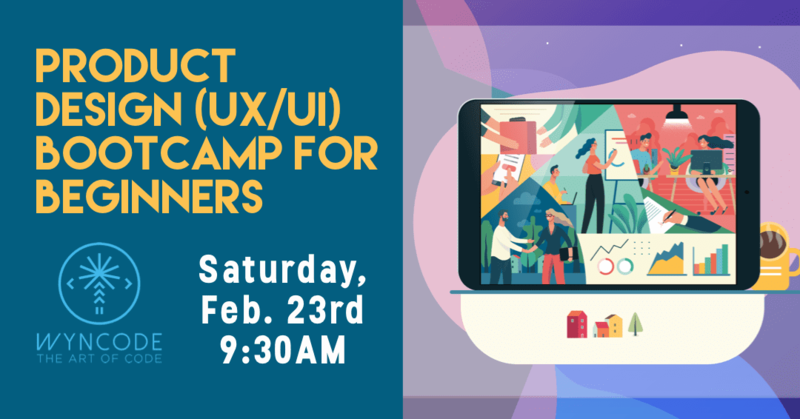 This is your chance to test your skills and level of expertise; participate in our one-day boot camp for UX / UI Design Fundamentals. This immersive experience is designed for individuals who have little to no experience in design. All you’ll need for this event is a computer that is able to access the internet. Join us and learn from Wyncode Head Instructors as well as the rest of our teaching team. You will also have the opportunity to engage with alumni, get insights from designers, and hear directly from hiring managers at partner companies. By the end of the day, you will have your first completed project! Wyncode Academy is the premier accelerated learning destination in South Florida. Wyncode currently offers in-person courses for Full Stack Web Development, User Experience & User Interface (UX/UI) Design, Front End Web Development, Data Science Fundamentals and Digital Marketing in Wynwood, Miami, Florida. Wyncode also has the ability to create custom cohorts and corporate training programs in addition to our newest venture Wyntalent, a consulting service for mid and senior level dev talent. Wyncode’s network reaches far and wide with over 645 alumni and more than 250+ hiring partners including Magic Leap, CareCloud, Watsco Ventures, and KIPU Systems among many others. Wyncode’s 2017 job placement report has been released. In 2017 Wyncode had a graduation rate of 94% and 27% of graduates were female. Of the 101 graduated who were considered job seeking, 90% obtained work within 120 days. Out of those employed a whopping 90% landed technical roles. When reviewing Wyncoder’s who reported salaries the average was $51,600 which is up 5% from 2015-16. The full report can be requested here. 10:00 AM Introduction to UX/UI Immersive: What is UX/UI?